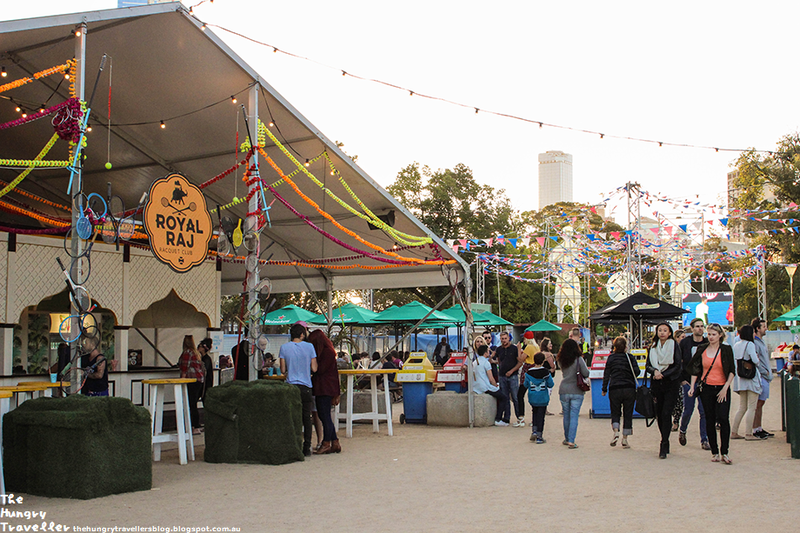 Have you been to the Royal Croquet Club yet? The event is coming to its last few days, ending on the 1st of February, so if you're a fan of food and croquet, make sure you catch it before its gone! 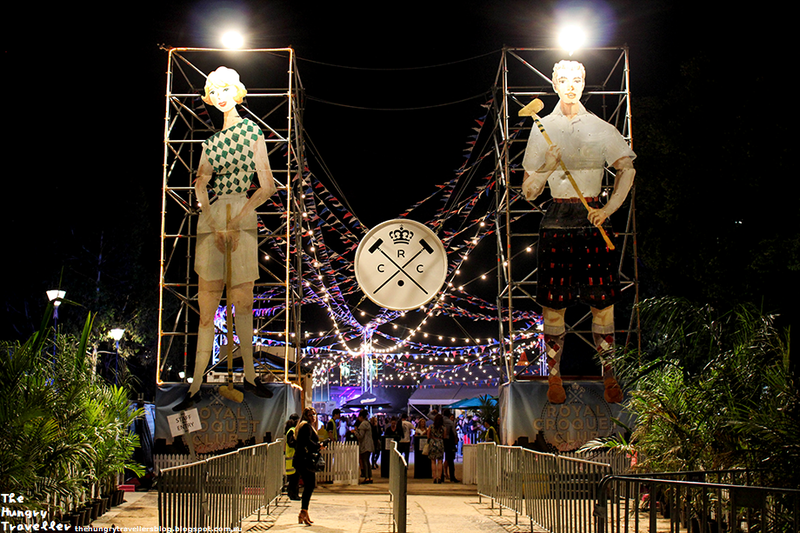 I, myself, have been on a number of little adventures to The Royal Croquet Club and checked out many of the stalls there including: Mr Claws, Meatmother, D.O.C, Miss Chu, Gelato Messina and St. Ali. I liked the options available, but some of my friends were left feeling not so impressed - there were few vegetarian options and no value-meal options. I could understand the cost factor for those who don't love the idea of dining out. But as a foodie, I enjoyed myself thoroughly. I had dinner there on my first visit. Of course after seeing the lobster rolls by Mr Claws I had to get my hands on some. 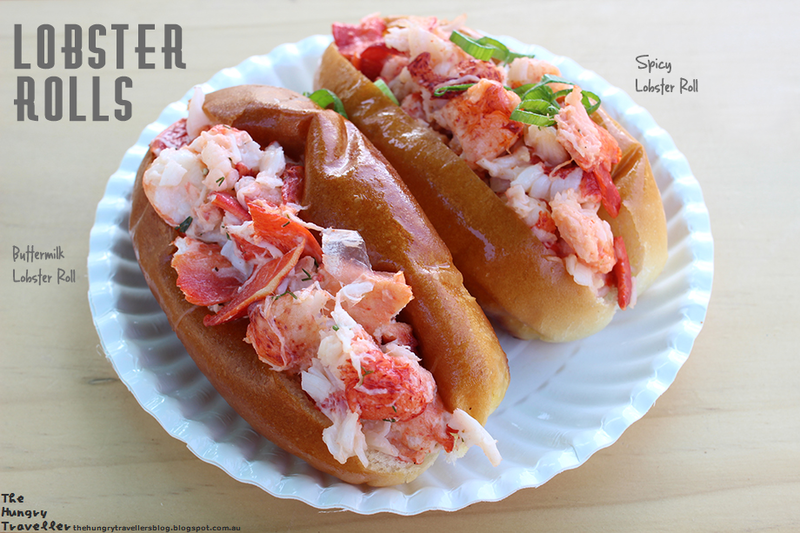 I tried the Buttermilk Lobster Roll and the Spicy Lobster Roll.It was pretty much big chunks of Lobster meat with a creamy sauce in a toasted sweet and buttery brioche roll. Mmm. Although I liked the Buttermilk Roll a lot, I couldn't really tell the difference between that and the Spicy Roll. The Spicy Roll was not Spicy at all. Only the chives on top differentiated the two. I'd only recommend the Buttermilk roll. At $12 a roll, they aren't cheap especially as they're very small in size. But if you love your seafood, as I certainly do, it's worth a go. I also tried some of the Vegetarian Net Spring Rolls by Miss Chu's, which were the most affordable of all the snacks, with 4 rolls for $6. 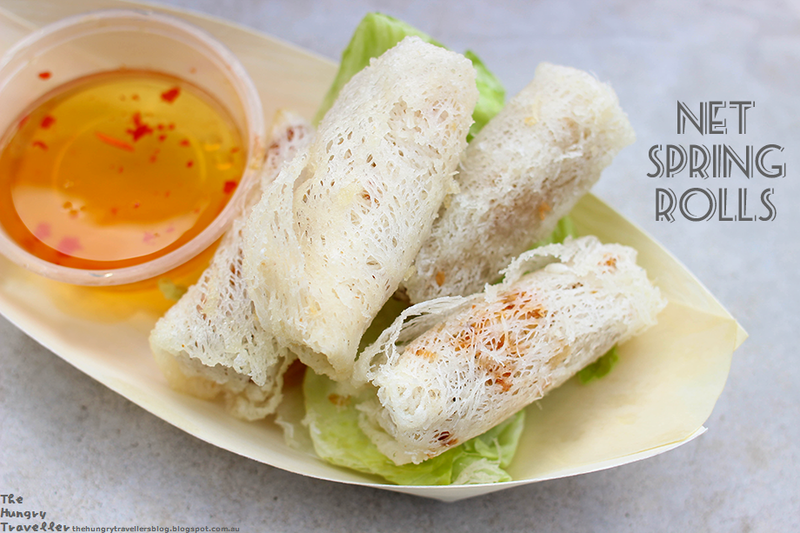 The Spring roll skins were crispy, flakey and delicious, though I'm probably biased because I definately prefer 'netting' on my spring rolls. Miss Chu's also got the filling right with tasty vegetables and vermicelli. I've had so many terrible spring rolls in my life, especially vegetarian ones that I was pretty impressed. Despite being to Miss Chu's many times before, both in Melbourne and Sydney, I'd never tried their vegetarian dishes before. But I'll probably try them all now, the next time I visit. Of course, we had to try dessert before heading off. 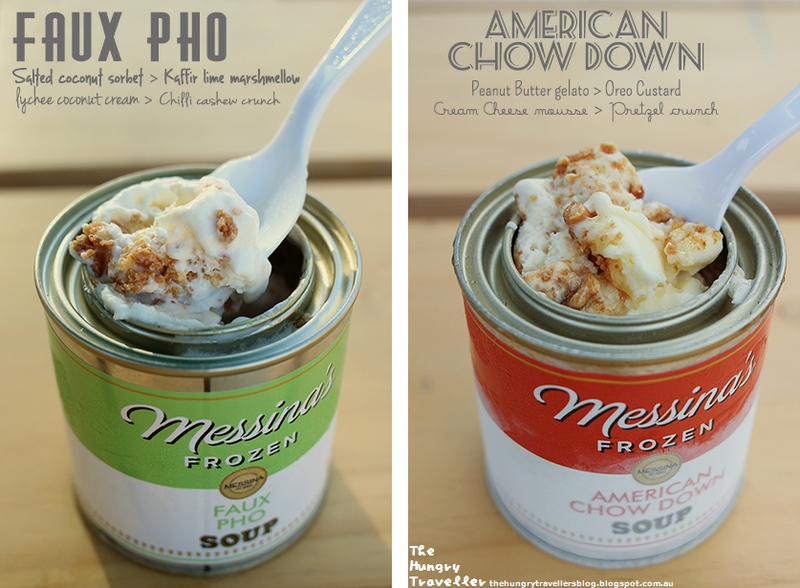 So at sunset, we went to try Gelato Messina's ice-cream sundaes in soup tins. I love the creativity of this dessert house. They're always getting up to some quirky or cheeky idea that appeals to the Melbourne scene. So I visited on two nights and tried two different sundaes, as well as one other flavour which I bought for my sister. My favourite would be The American Chow-Down. I think it won for the best flavour because it was a creamy Peanut Butter gelato with a decadent Cream Cheese mousse and Oreo Custard. A heavenly death right there. The Faux Pho was a strange combination that I was at first reluctant to try, but it turned out to be quite fun and exotic (Also, having been stood up by a friend who cancelled last minute on me, I was feeling adventurous. But luckily I ran into some work friends and it turned out to be muchos fun. But I digress.) It was a lot of coconut with a whiff of lychee cream and crunchy chilli cashew nuts. Almost like the peanuts in the American Chow Down. The Zuppa Duppa had a thick layer of crumbled biscuits and pistachios. But once I'd dug under that, there was a rich hazelnut gelato that reminded me at once of Ferrero Roche and Nutella together. So good. My advice for the event? Come prepared with cash - the ATMs there are costly and run on good old dial-up technology! Slop on the sunscreen too because the weather has been warm...but high in UV rays. 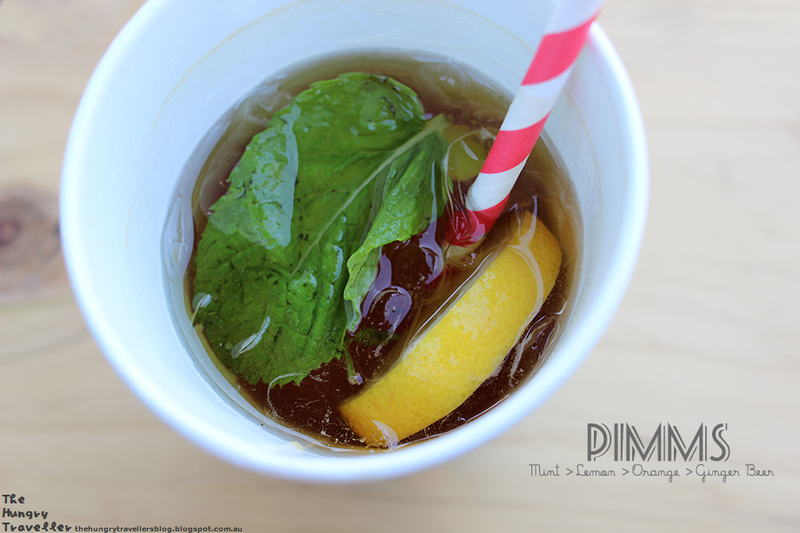 And prepare to enjoy the atmosphere and dine on summer snacks! 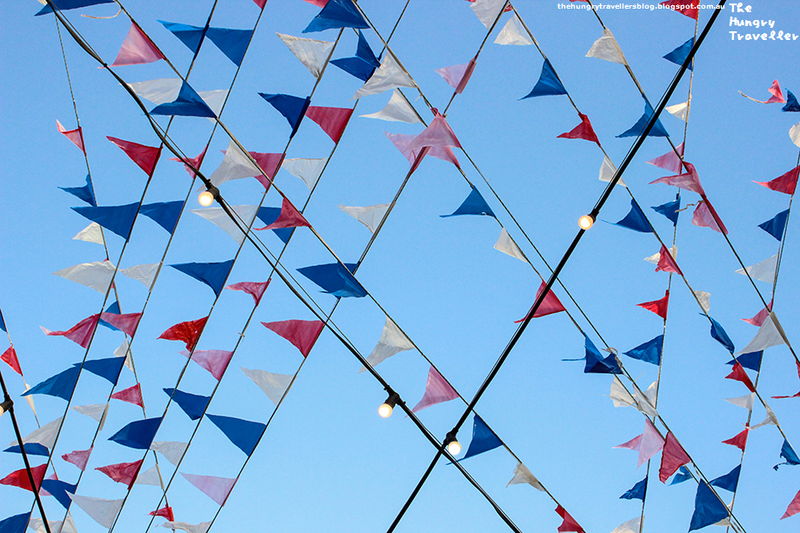 Also come before 5:00pm to ensure you don't have to pay a $5 entry fee...though if you stay until it gets dark your bound to see the place light up brilliantly.